Mechanic Can't Find This Part. Can Anyone Help? I have a 2000 Mazda 626lx Automatic. My mechanic says that the "Variable Tumble Control Valve Solenoid and valve Core" needs replaced. The problem is he can't find this part! This is a picture he provided. I really hope this helps. From what I understand this is a part that may have only been in California cars due to their emissions law. Does anyone know where I may find this ? did you search the forum? A few results do come up. is only found on the 98-02. It's basically the same concept as VRIS for the KL or VICS for the JDM FS-ZE. If you are familiar with what the VRIS actuator looks like on the KL-DE V6 engine, it will look very similar. The concept for VTCS was taken from VRIS and VICS. I really hate saying this but it's also comparable to Honda's VTEC system. On the left side of the intake manifold. It will look like a small saucer shaped object with a vacuum hose in the top and a rod from the bottom. There is a diaphragm inside of it that when provided vacuum will pull the rod open which in turn opens the shutter valve hidden inside in the end of each intake manifold runner. Practically identical theory of operation as the KL VRIS actuator. If you remove the intake manifold from the head of the engine you will see the shutter valves. It's directly above the VTCS actuator. There are 2 solenoids on the left side of the intake manifold directly above the VTCS actuator. The one on the left is the EGR boost solenoid (orange dot). The one on the right is the VTCS solenoid (green dot). The ECU controls when the solenoid is activated and supplies vacuum to the VTCS Actuator. Just prior to the VTCS actuator is a small one way check valve (green cylinder). 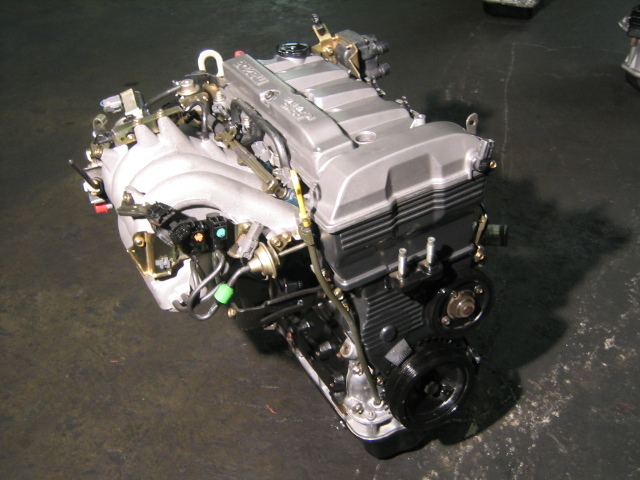 Here's a great side view that clearly shows most of the VTCS components on a 2001 Mazda 626 FS-DE engine. The 93-97 Mazda 626 FS engine has solenoids in the same exact locations however they are completely different solenoids that are wired to different systems. Those 2 solenoids were moved from the left side of the intake manifold to the right side in 1998 (next to the throttle body). Those would be the purge solenoid and PRC solenoid. Here's a video that shows the shutter valves. I'm hesitant to post this because of what he's doing in the video. I highly do not recommend deleting the EGR or shutter valves for a daily driver. I would only recommend gutting the VTCS system if you are going for a forced induction (turbo) build for a dedicated track race car. You will likely fail state emissions inspection. This is not my video or my 626 even though it looks somewhat similar in color scheme as my engine bay. There is a lot of bad information in that video. Bad bad bad information. He doesn't know what VTCS stands for or what it does but he wants to gut it because it's a popular thing to do. Someone give me paddle please I want to spank this guy. I've never seen that video before but I couldn't watch more than a few minutes it made me cringe so much because it's just a bad thing to do. He admits you never want to gut VTCS for an NA vehicle but he's gonna do it anyway. It doesn't have VICS that's the FS-ZE. I'm only posting it so you can get a good close up look of what the VTCS really looks like. Actually just do yourself a favor and mute the video while you watch it so you don't digest all the bad info. You can get that part at any Mazda or Ford dealer, probably through Rockauto.com, and a few other places. It's the same type of solenoid that's used all over the engine bay on this car, on both the I4 and V6 models, and many other cars out there too. If your dealer doesn't have them, you could also try a junkyard. Also, DJ, VTEC is a totally different technology. VTEC uses a solenoid to physically shift the camshafts over [laterally, along it's rotational axis] to select a different cam profile, while the engine is running. This is triggered by specific engine RPM thresholds. 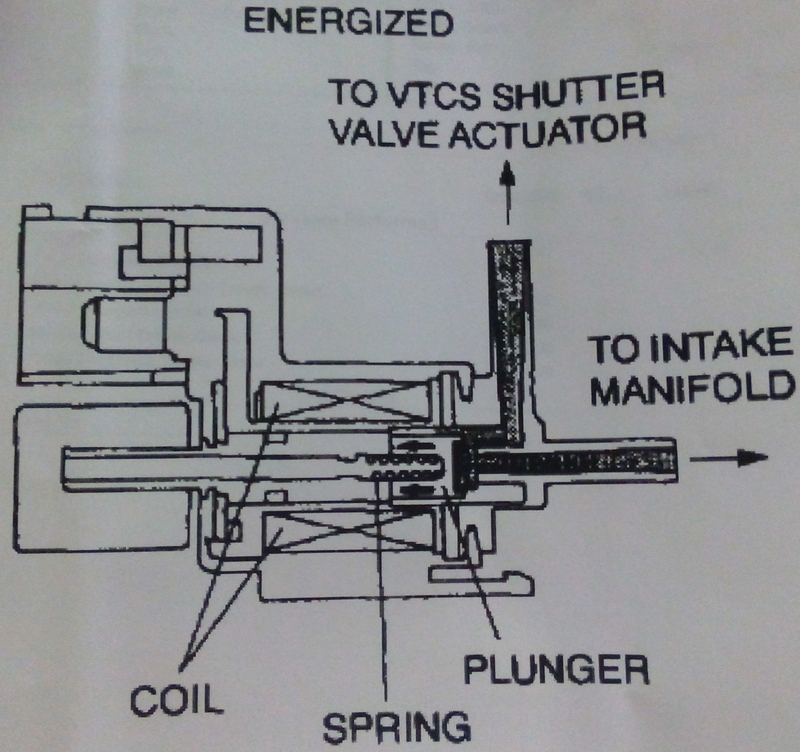 VTCS/VICS/VRIS use butterfly valves that are vacuum actuated (controlled by electric solenoids, which in turn are controlled by the ECU)...these modify the airflow characteristics of the intake manifold, either to boost VE (volumetric efficiency...i.e. cram a little more air into the cylinders by taking advantage of resonance frequencies in the intake manifold/plenum), or to control laminar/turbulent flow characteristics (frictional losses...as well as possibly noise control). Shows how much I know about VTEC and Honda's. Shouldn't have said anything I guess. I always thought it was air induction differences like VRIS. There I go acting like a Honda Boy talking about VTEC when I don't know a damn thing about how it works. Someone slap me. I didn't mean to come across as condescending, just sharing what I've learned over the years. The two technologies have similar effects (improved power output), and are both controlled/discrete changes as a function of engine RPM and load, so to the end user, they might feel similar. Either way, they're both old-tech at this point. I'm pretty sure every mfr. now uses continuously-variable valve timing of some form, making the original VTEC obsolete. As for the VRIS/VTCS/VICS, this is still very relevant, and can be used on an engine in conjunction with variable valve timing.